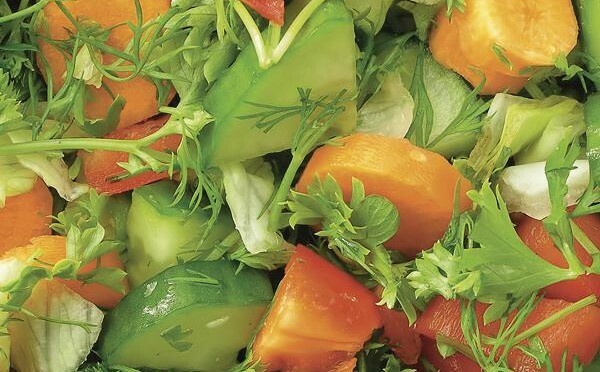 Combine tomatoes, cucumber, carrots and onion in large bowl. In another bowl, whisk together vinegar, sugar, oregano and parsley. Whisk in oil, salt and pepper. Pour over the vegetables and toss lightly. Sprinkle with feta before serving.